Listen to your favourite songs in music player. It supports MP3, AAC, FLAC, WMA, WAV, AMR, OGG, MIDI etc. file types. For those who seek an affordable and entry-level BlackBerry, the BlackBerry Curve 9350 is the way to go. 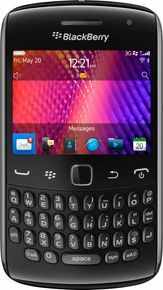 The RIM BlackBerry Curve 9350 has a slim and sleek design with a great physical keyboard. It has NFC support and ships with BlackBerry 7 OS. The RIM BlackBerry Curve 9350's side buttons are a little too skinny, there's no HD video capture, and you won't get the latest 4G speeds.